A 35-ton steel door sets the tone for an impressive meeting space. 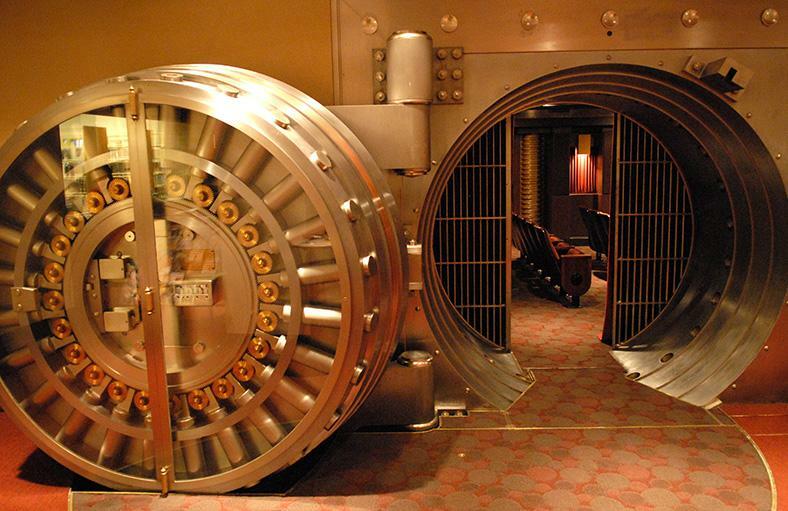 The old bank vault is equipped with the latest AV technologies for business presentations or private screenings. Built-in audio-visual system capable of computer connections for presentations as well as DVD and VHS capabilities for films. Dimmable lighting and curtain controls for the exact feel appropriate to your event. Adjacent Vault Foyer Area may be used for receptions for additional $250 charge. Use of the Library’s video stock (including feature movies) is encouraged but specific titles cannot be guaranteed for use during your event.